I like to take in the world around me. I'm inspired by nature, architecture, and colour and you'll often find those elements in my work. I love the creative process and the unique interactions that happen as I discover the art and personality of the people I am fortunate to photograph. I have a background working in a Vancouver studio, primarily focused on children, families and grads; I started shooting weddings in 2004 (and haven't looked back since!) I have training from BCIT, and keep continuously inspired and learning by participating in workshops and conferences for professional photographers. As an artist and professional photographer, I deeply value relationship as well as having a sense of belonging within my community and in my neighbourhood. This was one of the reasons I moved my family back to my hometown of Saskatoon a few years ago. People and their stories matter. The process of the photo being taken is just as important as the finished product. I take great care in getting to know my clients and telling your story. I also am a firm believer in the concept of celebration. Life is short- let's eat cake. I’m based in Saskatoon, Saskatchewan, Canada and willing to travel. When not behind the camera, you might find me drinking coffee or red wine, attempting to garden, thrifting for treasures, collecting mid-century modern pieces, spending time with my husband and our two zany daughters, or happily creating in the kitchen for a table of friends. I look forward to connecting! 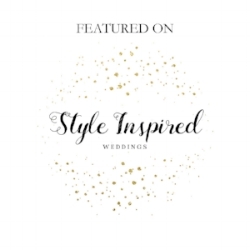 One of Canada's “30 Most Inspiring Wedding Photographers in both 2016 & 2015,” named by Weddingbells Magazine, I’m honoured and excited for all that’s to come. That’s important because the best moments to capture, happen when you’re comfortable. Creating these honest moments is how I have found myself – alongside my clients – building bonfires in the snow, wading in the river, running along-side a couple on longboards laughing like crazy, in a pub with a bride & groom, or hanging out in your kitchen. I like to get some classic portrait shots (posterity is good) and I think it’s important to have good fundamentals… it’s also important to me to think outside the box and break some of those “supposed-to” rules to create something artistic and unique. I want you to be you. Whether you want to picnic in the park with wine and cheese, take your dog for a walk (I’ve been known to bring dog treats along) or hang out in a record store, it’s going to work great if you just show up and be yourself and I can take it from there. Let’s make art. I want to photograph you and the people you love.